Welcome to Nepal. 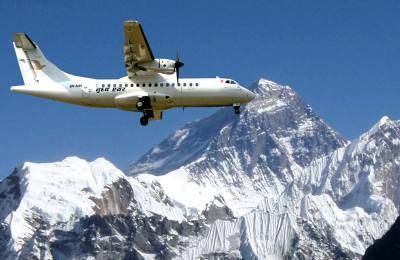 Passages Nepal trekking tours based in Kathmandu with dedicated mountain trekking leaders, trekking porter guides, Sherpa, tourism enthusiastic and entrepreneurs. We are here to provide you all about Nepal information, Nepal trekking info, adventure activities of a lifetime for keen travelers at any time throughout the years. 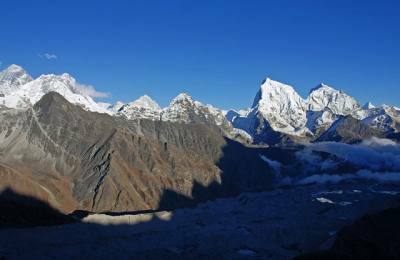 There are so many place for hiking, Passages and hiking trails in the country of Mount Everest and Buddha. we do guide and provide well information about Nepal. 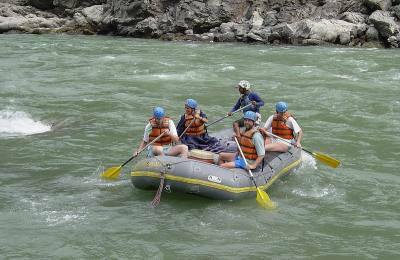 Our popular and scenic activities in Nepal are tours, Expeditions, Mountain flights, River rafting, Paragliding, Bungee jump, zip flying, Sightseeing, and peak climbing and many more. 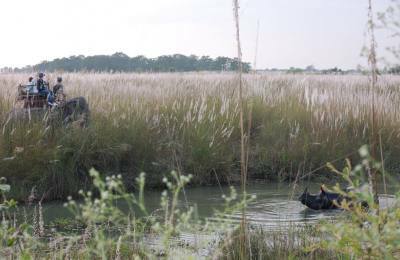 Monsoon trek is also different and unique trekking for those who have holidays in monsoon. Not only Nepal we also guide for India, Tibet and Bhutan tours. Nepal is a Himalayan country in South Asia which is one of the most beautiful as well as imaginative dreamlands in between Tibet, an autonomous region of the People's Republic of China to the North and India to the South. The country of Nepal is rectangular in shape having 885 km in length from east to west and it's breadth varies from 145 km to 241 km north to south. The elevation of the country ranges from 70 m sea level to the highest point on the earth, Mt. Everest at 8,848 meters all within a distance of 150 km with climatic variations from sub-tropical to alpine. It is the richest country in the world in terms of bio-diversity due to its unique geographical position and latitudinal variation. Being home to the worlds highest mountains, historic cities and the forested plains where the lordly tigers and the great one-horned rhinoceros trundle at ease. In fact, enchantment is everywhere for anyone in search of Shangri-La. The country is popularly known in the world for an incredible variety of ecosystems, the greatest mountain ranges, and thick tropical jungles teeming with a wealth of wildlife, thundering rivers, forested hills, and frozen valleys, remains 8 of the highest mountains above 8000m in Nepal among 14 of them in the world. Kathmandu is the capital with its rich cultural heritage, exquisite temples, and Pagodas dedicated to the Hindu Gods Goddess, Buddhist Chaityas, Gumpas and old palaces with carved windows and doors are a sculptor. The temples and historical palaces full of architectural values give a glimpse of the craftsmanship and artistic ingenuity of the people then and now. Numerous religious and social festivals are celebrated all year round, as these festivals are the inevitable and aesthetical part of the religious and traditional heritage of the people from time immemorial. Smiling and welcoming attributes of the people add more meaning to the hospitality to give a guest the feeling that homely atmosphere is waiting for them in this beautiful and enchanting land of myths and legends in this Himalayan country. 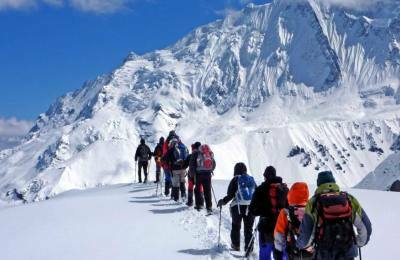 Passages Nepal provides a set of information and Nepal trekking adventure activities of a lifetime for keen travelers at any time throughout the years. 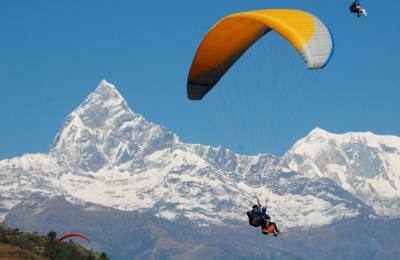 Our popular and scenic activities in Nepal are tours, Expeditions, Mountain flights, River rafting, Paragliding, Bungee jump, zip flying, Sightseeing, and peak climbing and many more. Monsoon trek is also the different and unique trekking for those who have the time and holidays in monsoon. 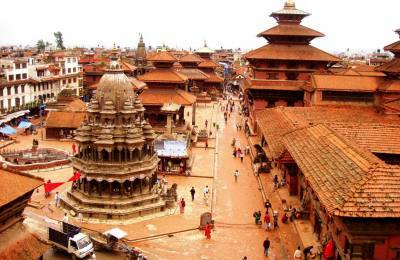 Not only Nepal we also familiar for India, Tibet, and Bhutan tours. In the Nepalese history, On the 28th May 2008, the constituent assembly voted in overwhelming favor of abolishing the Monarchy in Nepal. Nepal has been proclaimed a Federal Republic State to be known as the Democratic Republic of Nepal. This historic development followed the first elections held since 1999 after a ceasefire agreement between the government and the Maoists was signed in November 2006, putting an end to 10 years of instability in the Kingdom. The Maoist party won the largest share of votes in the elections at approx. 35%, in 2006 and the election on 2013 won by the Nepali Congress and now Nepali congress forms the largest part of the constituent assembly. The announcement of the abolishment of the Monarchy also brought an end to 240 years of Royal rule in the country. Today the general feeling amongst Nepalese is a positive one, and many believe that Nepal is now finally moving forward with a new identity as a democratic nation and a fresh outlook. We Believe that the economy now is sustained from tourism and its revenue. 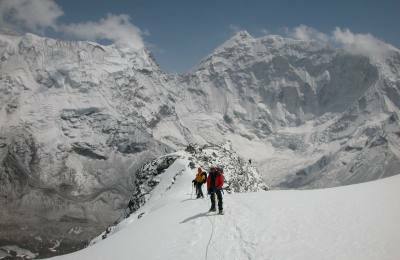 Nepal Trekking, Nepal tours, Mountaineering and expedition of its peaks are one of the best adventures holidays maker locations in Nepal.